RIO DE JANEIRO, Sep 10 2013 (IPS) - The Brazilian government projects the cancellation of nearly 900 million dollars in debt owed by a dozen African countries as a gesture of solidarity. But others simply see an aim to expand the economic and political influence of South America’s powerhouse. The decision by the left-wing government of Dilma Rousseff, which is now being studied by Congress, will especially benefit the Republic of Congo, which owes 350 million dollars, Tanzania (237 million), and Zambia (113 million). The other beneficiaries are Ivory Coast, Gabon, Guinea-Bissau, Mauritania, Democratic Republic of Congo, Republic of Guinea, São Tomé and Príncipe, Senegal and Sudan. But it was not interpreted the same way by the opposition, and some lawmakers are seeking to block congressional approval. Cases that have been called into question include those of Republic of Congo, Gabon and Sudan, which are facing international legal action for cases of corruption and even genocide. Authorities in those countries are “corrupt figures who buy Louis Vuitton and Mercedes Benz luxury cars. Writing off the debt of governments that enjoy such privileges sends the wrong message,” said Senator José Agripino of the opposition Democratic Party. A statement issued by Brazil’s foreign ministry says the forgiveness of the debt is based on the rules and principles of the Paris Club of rich creditor nations, aimed at easing the debt burden of poor countries. Brazil’s foreign policy defends respect for national sovereignty, Gonçalves said. There are other aspects to the controversy. Senator Alvaro Dias of the Brazilian Social Democracy Party mentioned the economic objectives. Cancellation of the debt would reopen credit lines at Brazil’s National Economic and Social Development Bank (BNDES) and bolster the involvement of leading Brazilian business consortiums in the African countries in question. Trade between Brazil and Africa climbed from five billion dollars in 2000 to 26.5 billion dollars in 2012, according to foreign ministry figures. In Africa, Brazilian public and private enterprises have invested in sectors like oil, mining and major infrastructure works. That is reflected by the selection of countries, many of which are in West Africa, geographically across the ocean from Brazil’s impoverished but fast-growing Northeast, he said. That could give rise to “the creation of a geostrategic Brazilian sphere in the south Atlantic, responsible for conceptually expanding this country’s frontier towards the African coast,” he said. This would safeguard “not only its strategic pre-salt area (the ultra-deep oil reserves hidden under a thick layer of salt off the coast of Brazil) but also the vast extension of Atlantic coast, in a ‘mare brasiliensis’,” protecting this country from future access by enemies to its territory. The history professor said “this new carving up of Africa” is indicated by the inclusion of “the only country on the planet governed by a leader facing genocide charges,” the president of Sudan, Omar al-Bashir, who is wanted by the International Criminal Court. “Sudan is triply attractive for Brazil: it is rich in oil, in need of civil construction, and hungry for industrial and agricultural goods,” Carreiro said. “It is possibly the most advantageous market in Africa, for the Brazilian economy,” he added. Closer ties would bring additional advantages, such as support for Brazil’s aspirations to a permanent seat on the United Nations Security Council. But Gonçalves is not shocked by this interpretation. “The forgiveness of the debts of small states by large economies is a common thing,” he said. “The technical explanation for this cancellation is clearing the slate for those countries to pave the way for loans from the BNDES that favour the activities of large (Brazilian) companies,” he added. But the political science expert does not see this as running counter to the principles of aid. “Solidarity and cooperation are carried out by means of loans and the implementation of projects,” he said. “International economic relations occur under the capitalist system, which means the aim is always profit,” he said. Investments by South America’s giant also reach Africa through the Brazilian Cooperation Agency (ABC), with a total of 50 million dollars in projects in agriculture, health and education in 2010. Carreiro pointed out that shortly before the debt cancellation plan was announced in May, the Rousseff administration reported that ABC would be overhauled, and its aid would be increased by 300 million dollars, mainly for Africa. “But that was apparently seen as too little, and Rousseff decided to speed up the decision, directly buying influence in key countries in Africa,” he said. “Earmarking 300 million dollars for cooperation projects and writing off some 900 million dollars in debt for corrupt governments are two contradictory practices in a chaotic foreign policy,” Carreiro said. 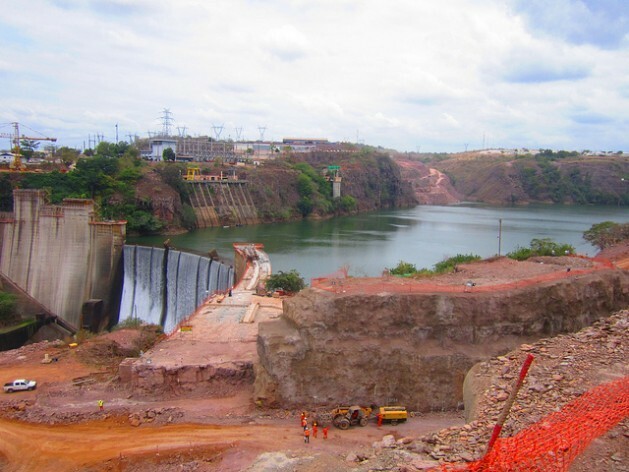 A 2012 study by the Don Cabral Foundation showed that Brazil’s presence in Africa was growing, with 34 Brazilian multinational corporations operating in the continent. In the view of 44 percent of the companies surveyed, the government’s foreign policy over the last decade has fuelled expanding international involvement by Brazilian firms. I have problems seeing where the contradiction is. Earmarking 300 million dollars for cooperation projects AND writing off some 900 million dollars in debt are two different ways of cooperating. As for the corruption argument, I would like someone to point out a country where there is no corruption – or find a better way to help empoverished Africans. Well lets all just contribute to the demise of civility and the so called democracy, let’s all burn our human race to the ground!